The XD 4" pistols sets the standard in polymer pistols. The XD offers superior ergonomics, reliability and performance. 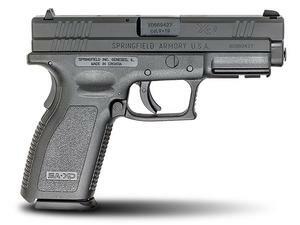 The Defenders Series is Springfield's basic package and includes 1 magazine. Weight w/ Empty Magazine 28 oz.